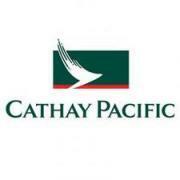 Cathay Pacific Airlines is offering special prices from major Australian cities to Hong Kong. Round-trip economy fares start from AUD1,065 (USD1,067) from Perth, AUD1,136 (USD1,138) from Melbourne, and AUD1,154 (USD1,157) from Sydney. Promotion prices include taxes and surcharges. Bookings must be made by October 31, 2011, for travel through March 31, 2011. Fly direct from London to Hong Kong for as little as GBP616 (USD970) with British Airways. This is a round-trip economy fare inclusive of all taxes and airline surcharges. Guests can upgrade to Premium Economy with fares starting from GBP1,028 (USD1,620). These promotional fares are available for travel on selected dates now through November 30, 2011. Eva Air is offering special prices on flights from cities across North American to Hong Kong. Fly from Vancouver to Hong Kong from USD725, Toronto to Hong Kong from USD905, and New York to Hong Kong from USD920. Taxes and surcharges are additional and cost USD100-300 depending on departure city. This promotion is available for bookings and travel until November 30, 2011. 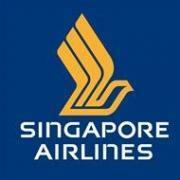 Until September 30, 2011, Singapore Airlines is offering special fares from Hong Kong to Singapore and beyond. Roundtrip economy fares to Singapore start from HKD3,141 (USD402) including all taxes and airport surcharges. Other destinations on sale include Manila from HKD4,632 (USD593), Bali from HKD4,782 (USD613), and New Dehli from HKD5,105 (USD654). 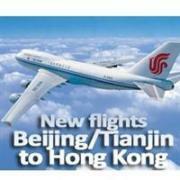 Starting July 1, 2011, Air China will increase the frequency of flights between Hong Kong and Bejing to 7 per day. It will also increase flights between Hong Kong and Tianjin to 10 flights per week. Round-trip economy fares from Hong Kong start from HKD1,840 (USD235) plus taxes and surcharges to either destination. Promotional fares are subject to availability. Enjoy low fares from Hong Kong to destinations across Asia with Hong Kong Airlines. Promotional round-trip economy fares include HKD1,590 (USD203) to Manila, HKD1,700 (USD217) to Bangkok, HKD1,780 (USD228) to Shanghai, HKD2,240 (USD287) to Singapore, and more. Rates do not include taxes or surcharges. Fares are valid for bookings and travel now through March 31, 2012. Dragonair is offering special prices on flights from Hong Kong to selected cities across Asia until June 30, 2011. Destinations include Manila for HKD850 (USD109), Xiamen for HKD970 (USD125), Shanghai for HKD2,340 (USD300) and Busan for HKD2,800 (USD359). Quoted prices are round-trip economy fares and do not include taxes or airline surcharges. Travel dates for this promotion vary by destination. Singapore Airlines is offering a sale on flights from Hong Kong to San Francisco, USA. The roundtrip fare for economy travel starts from HKD7,514 (USD966) inclusive of taxes and surcharges. This promotion must be booked before June 30 but is valid for travel during selected periods until September 30, 2011. Once issued, the ticket is non-refundable and other terms and conditions apply.